A series of secret United States government projects for the purpose of developing psychological warfare techniques and exotic research into tele-portation, parallel dimensions, and time travel called The Montauk Project was said to have been conducted at Camp Hero or Montauk Air Force Station on Montauk, Long Island. Dr. John Von Neumann began Preliminary experimentation at the Brookhaven National Laboratories. Making claims that one could render objects invisible & the mind could create matter at any point in time amongst other things through the manipulation of high energy electromagnetic fields. 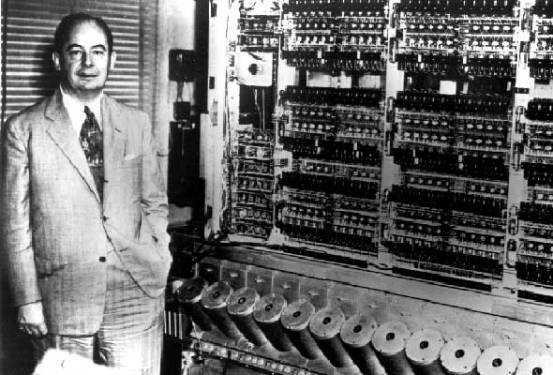 In 1948, Doctor John Von Neumann earned his reputation by making several modifications to the ENIAC computer (Electrical Numerical Integrator And Calculator). The precursor to today’s modern computer, the ENIAC had performed arithmetic and transfer operations concurrently, which caused programming difficulties. Von Neumann suggested that switches control code selection so pluggable cable connections could remain fixed. He added a converter code to enable serial operation. 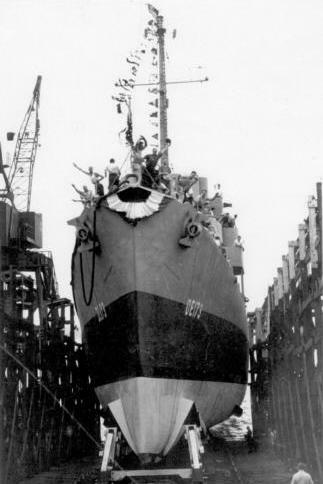 U.S. NAVY SHIPS USS Eldridge (DE-173), 1943-1951. Dr. John Von Neumann attempted to link computers with minds and was apparently successful. Using this computer-human link, Von Neumann affected the minds of others and was eventually able to open a time vortex back to 1943 to the Philadelphia Experiment. In 1943, radar invisibility was being researched aboard the USS Eldridge under the title of ‘Montauk Project’. Since the USS Eldridge was docked in the Philadelphia Naval Yard, it is commonly referred to as “The Philadelphia Experiment”. He also claimed to have sent a man named Preston B. Nichols through two time lines, a fact confirmed by said Duncan Cameron in 1985. Cameron was trained by the National Security Agency, so his testimony is valid. Many people believe that the Montauk Project is continuing to this day, although much of the information available about this is muddied by speculation and disinformation. The principle objective of the Philadelphia experiment was to make a ship disappear so as not to be detected by radar. This objective was achieved and the ship, The USS Eldridge was rendered invisible, having possibly been teleported inter-dimensionally. But, to the people involved this was not without unexpected and drastic side effects some actually lost there lives from having been embedded in the bulkhead of the ship. The crew manning the vessel were transported out of this dimension along with the ship. When they returned, they were disoriented and horrified. Not all survived, but those that did were dismissed as mentally unfit and in an effort to cover up the experiment were discharged from the Navy. Al Bielek was recruited into Project Rainbow, a precursor to the “Philadelphia Experiment,” He claims he worked his normal day job in California, and then took a highly classified underground magnetic levitation subway train from Los Angeles to Montauk. In January 1988, his memories of his involvement in the Philadelphia Experiment started to resurface. While working for various military contractors, the people who worked with him began to reveal the truth about the US government’s involvement in Psychological Operations. Bielek made the decision to go public with the information about his participation in the Montauk experiments and the Philadelphia project in 1989.
subject to inter-dimensional phenomena without detrimental and sometimes fatal affects to the participants involved. Through the military Von Neumann had vast resources at his disposal which included a database of Nazi psychological research. With sophisticated radio equipment Von Neumann attempted to connect computer technology to people’s minds. He was successful in creating a virtual mind reading machine, having human thoughts received by esoteric crystal radio receivers and relayed into a computer that stored the thoughts as bits of information. These bits could be displayed on a computer screen and printed out on paper. A technician could with this technology project a to a computer and manipulate the mind of another person. Out of fear of their own minds being controlled Congress after having been presented the report ordered the project to be officially shutdown. The project was then phased into the private sector and was allowed to progress independent of Government over-site. A secret group connected militarily with deep financial pockets developed the new research facility at a derelict Air Force base at Montauk Point, New York. This Air Station housed a SAGE radar antenna that emits the same band frequency needed to enter human consciousness. The military became the chief beneficiary of the projects’ developments having been convinced to incorporate the technology into their psy-ops programmes. By 1972, the Montauk Project was fully underway with massive mind control experimentation being done on humans, animals, and other forms of consciousness. 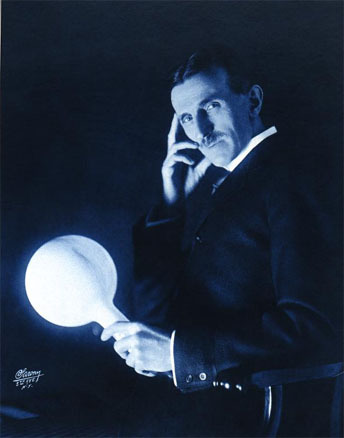 Using hardware developed through the discoveries of Nikola Tesla Montauk continued to develop the psychic abilities of people thereby manifesting both subjective and objective illusions to amplify thought . They went so far as to discover that a trained technician could manifest matter to appear at any given time. It was this discovery that led to the idea of bending time. After years of research, time portals were opened with massive and outrageous experiments. The Project in a bizarre time loop came full circle when a time vortex opened to 1943 and the original Philadelphia experiment. No evidence confirming the experiments actually occurring has ever surfaced nor has evidence of any underground facility been found.